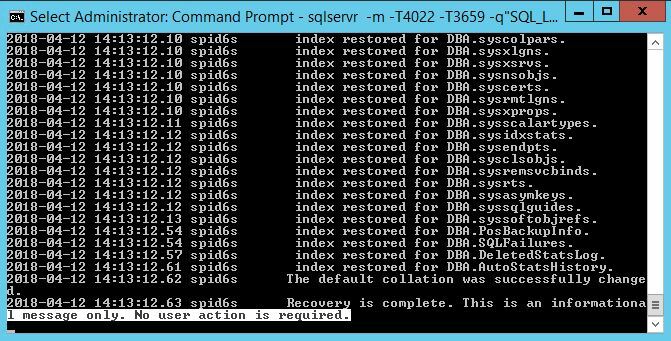 Lost that SQL Server Access? As a data professional can you recall the last time you needed to support a SQL Server instance for which you had no access? What if you used to have access and then that access magically disappeared? I know I run into this dilemma more than I would probably like to. It is rather annoying to be under a crunch to rapidly provide support only to discover you are stuck and have to wait on somebody else who hopefully has access. It’s one thing to not have access in the first place. This is usually an easy fix in most cases. The really unpleasant access issue is the one when you have confirmed prior access to the instance and then to be completely locked out. More succinctly, you have lost that SQL access! All hope is now lost right? OK, that isn’t entirely true. Or is it? What if everybody else from the team is also locked out and there is no known sysadmin account. In essence everybody is locked out from managing the instance and now you have a real crisis, right? Well, not so fast. You can still get back in to the instance with sysadmin access. It should be no real secret that you could always restart the SQL instance in single-user mode. Then again, that probably means bigger problems if the server is a production server and is still servicing application requests just fine. As luck would have it, there is an alternative (else there wouldn’t be this article). It just so happens, this alternative is slightly less involved (in my opinion). Let’s start with a server where I don’t have SQL access (beyond public) but I do have Windows access. We can see on this SQLExpress instance on the TF server that my “Jason” does not exist. Since I don’t have access, I can’t add my own account either. Time to fix that. In order to fix it, I am going to create Scheduled task in Windows that will run a SQLCMD script from my C:\Database folder. The folder can be anywhere, but I generally have one with scripts and such somewhere on each server that I can quickly access. 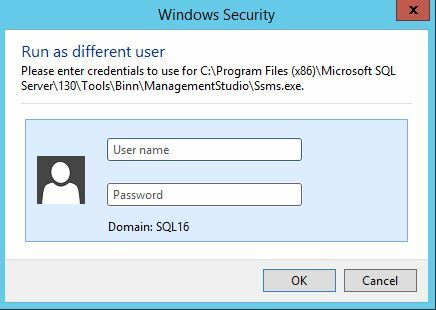 From here, you will want to click on the “Change User or Group” button to change it to an account that does have access to SQL Server. The account that I use is not a “user” account but rather it is a “system” account called “NT AUTHORITY\SYSTEM” that is present all the way through SQL Server 2017. To locate the “NT AUTHORITY\SYSTEM” account, just type “SYSTEM” into the new window and click “Check Names”. The account will resolve and then you can click OK out of the “Select User or Group” window. With the account selected that will run this task, we can now focus our attention on the guts of the task. We will now go to the “Actions” tab. Click the new button, and here we will configure what will be done. I do recommend putting the full path to SQLCMD into “Program/Script” box. Once entered, you will add the following to the parameter box. If you do not have an instance, then just the server name will suffice after the -S parameter. 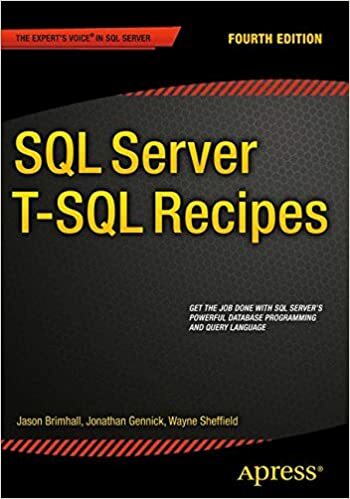 The -i parameter specifies the path to the SQL script file that will be created and placed in the C:\database directory (or whichever directory you have chosen). That is it for the setup of the task. Now let’s look at the guts of the script file. Save that into a script document named myscript.sql in the aforementioned directory and then execute the windows task. After executing the Windows task, it is time to verify if it worked or not. Boom! From no access to a sysadmin in a matter of seconds. Here is that quick verify script – generalized. 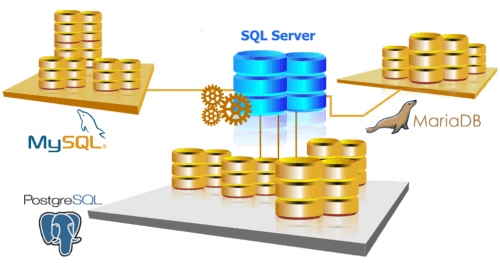 Losing access to a SQL instance is never a desirable situation – for the DBA. When the people that are supposed to have access, lose that access, all hope is not lost. There are plenty of methods available to regain the requisite access to manage the server. Today, I shared one such method that I view as being extremely easy. If you lose access, I would recommend taking the steps shown in this article to regain that access. While not in the back to basics series, I do recommend checking out my other posts in that series. Some topics in the series include (but are not limited to): Backups, backup history and user logins. I would also recommend reading this audit article. If you are able to elevate your permissions, then obviously anybody with server access can elevate their permissions too. For that reason, you should regularly audit the permissions and principals in SQL Server. It may come as no surprise to many that Microsoft has hastened the SQL Server development cycle. Furthermore, it may be no surprise to many that Microsoft has also hastened the patch cycle for SQL Server. If you were unaware of this, consider this as your notice that Microsoft has indeed hastened the patch cycle. Not only has the patch cycle become more rapid, the idea of Service Packs is more or less a notion of history at this point. Critical Updates (or CUs) is the new norm. This is a pretty good thing due in large part to the rapid improvements that can be made to the product due to Azure. With all of this considered now, there is some really awesome news. A hint to this awesome news is in the preceding image and title of this post. 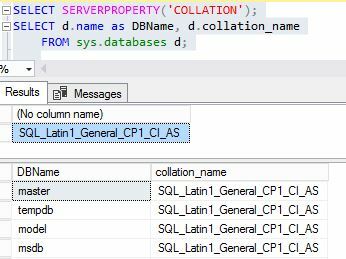 In a recent CU for SQL Server 2017, Availability Groups and Extended Events both have seen massive upgrades. The upgrades are so big in fact that it is mind blowing. These upgrades were no small feat by any means and it took some major investment and cooperation from the likes of some well known competitors. Upgrade the first: Availability Groups have now been extended to be able to include nodes from MySQL, PostGres and MariaDB. Frankly, I don’t understand the MariaDB move there but it’s all good. I am 100% on board with the MySQL addition and may have to work really hard to find a use case to include PostGres. Imagine the realm of possibility this change brings!! First we got SQL Server on Linux and now we can include a predominantly Linux flavored DBMS in a SQL Server High Availability solution. LAMP engineers have got to be losing their gourds right about now over this. Microsoft is taking away every anti-MS premise that has been used in recent years and turning the world on its ears to become more global and reachable in the architecture and DBMS world. Upgrade the second: In order to help support and troubleshoot AGs on these other platforms, we need some tools. The tools of choice happen to be in the form of Extended Events. 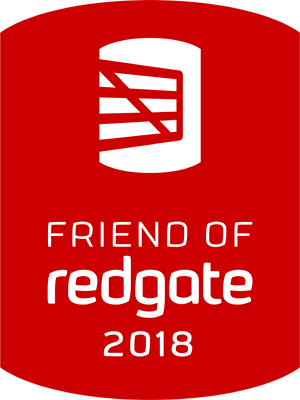 While there is nothing quite yet in place on these other platforms to properly monitor an AG, XE is able to capture some MySQL, PostGres and MariaDB information as transmitted across the wire when these platforms are added to an AG. How COOL is that? If you are really chomping at the bit, I recommend procuring the latest CU that was recently released. You can find that CU from this Microsoft site here. I am in full support of this new direction from Microsoft. Partnering with other large platforms to provide a supremely improved overall product is very next level type of stuff and frankly quite unheard of in this ultra competitive world. It is so unheard of in fact that this was a nicely crafted April Fools joke. Happy April Fools Day! Having mentioned Extended Events, if you are interested, I do recommend a serious read from any number of articles posted in 60 day series. 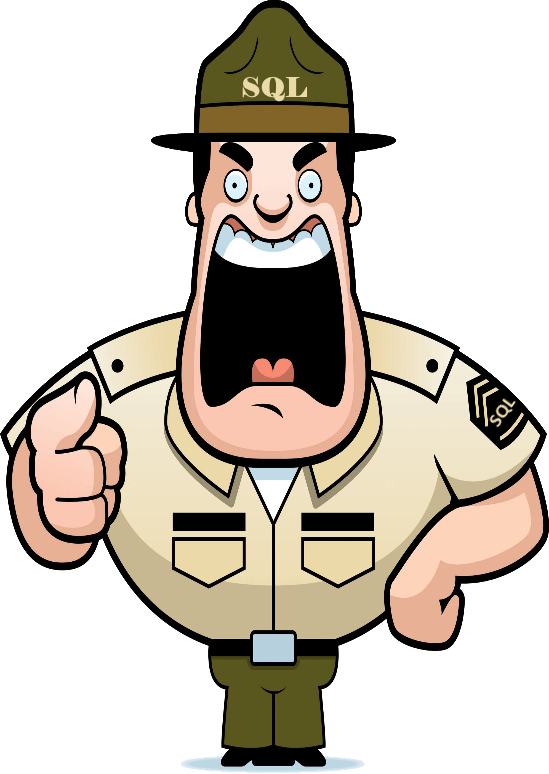 One of my all-time favorite things in SQL Server is security. No matter what, it always seems that there is a new way to abuse permissions. 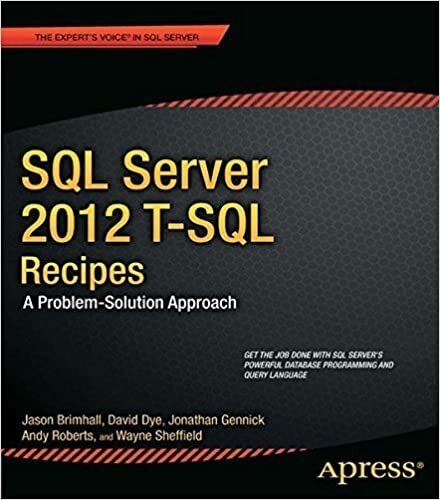 When people abuse their access level or abuse the way permissions should be set in a SQL Server environment, we get the pleasure of both fixing it and then trying to educate them on why what they did was wrong and how to do it the right way. In similar fashion, I previously wrote about some fundamental misconceptions about permissions here and here. I have to bring those specific articles up because this latest experience involves the basics discussed in those articles along with a different twist. It is not uncommon to need to create a login and grant that login access to a database (or associate that login to a database user. In fact, that is probably a fairly routine process. It is so routine, that I have a demo script for it right here. I even went as far as to include some of the very routine mistakes I see happening on a frequent basis (as referenced by a prior post here). To this point, we only have a mild abuse of how to set permissions for a principal. Now it is time for that twist I mentioned. This user account needs to be created on a secondary server that is participating in either a mirror or an Availability Group. Most people will take that user account that was just created on the first server and then use the same script to add the account to the secondary server. Let’s see how that might look. For this example, I will not go to the extent of creating the mirror or AG. Rather, I will pretend I am just moving the database to a new server. So I have taken a backup and then I will restore the database to the new server. Next, let’s go ahead and recreate the login we created on the previous server. You see here that I am only going to create the login if it does not exist already. Running the script produces the following for me. Now, let’s deviate a bit and grant permissions for the login just like so many administrators will do. It seems pretty apparent that my login that I just created does not have access to the GimmeSA database, right? Let’s go ahead and add permissions to the GimmeSA database and see what happens. Well, that did not work according to plan right? Enter twist the second. What I am seeing more and more of, is people at this point will just grant that login (that was just created) sysadmin rights. You can pick up your jaw now. Indeed! People are just granting the user SA permissions and calling it good. This practice will certainly work – or appear to work. The fact is, the problem is not fixed. This practice has only camouflaged the problem and it will come back at some future date. That date may be when somebody like me comes along and starts working on stripping non-essential sysadmins from the system. There are two legitimate fixes for this particular problem (and no granting sysadmin is definitely not one of them). First you can run an orphan fix with a script such as this one by Ted Krueger. That will map the user that already exists in the database to the login principal (thus the reason for the error we saw). Or, you can prep your environment better by using the SID syntax with the create login as follows. The trick here is to go and lookup the SID for the login on the old server first and then use that sid to create the login on the new server. This will preserve the user to login mappings and prevent the orphan user issue we just saw. It will also prevent the band-aid need of adding the login to the sysadmin server role. In this article I have introduced you to some basics in regards to creating and synchronizing principals across different servers. Sometimes we try to shortcut the basics and apply band-aids that make absolutely no sense from either a practical point of view or a security point of view. Adhering to better practices will ease your administration burden along with improving your overall security presence. 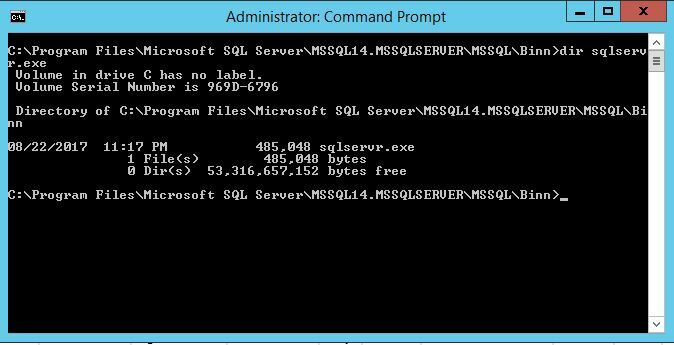 One thing that SQL Server does very well is come pre-configured in a lot of ways. These pre-configured settings would be called defaults. Having default settings is not a bad thing nor is it necessarily a good thing. For me, the defaults lie somewhere in the middle ground and they are kind of just there. You see, having defaults can be good for a horde of people. On the other hand, the default settings can be far from optimal for your specific conditions. The real key with default settings is to understand what they are and how to get to them. This article is going to go through some of the basics around one group of these defaults. That group of settings will be accessible via the sp_configure system stored procedure. You may already know some of these basics, and that is ok.
Three dreaded words we all love to despise but have learned to deal with over the past several years – some assembly required. More and more we find ourselves needing to assemble our own furniture, bookcases, barbecue grills, and bathroom sinks. We do occasionally want some form of set and forget it. The problem with set it and forget it type of settings (or defaults) is as I mentioned – they don’t always work for every environment. We do occasionally need to manually adjust settings for what is optimal for that database, server, and/or environment. When we fail to reconfigure the defaults, we could end up with a constant firefight that we just don’t ever seem to be able to win. So how do we find some of these settings that can help us customize our environment for the better (or worse)? Let’s start taking a crack at this cool procedure called sp_configure! Ok, so maybe I oversold that a bit – but there is some coolness to it. Looking at msdn about sp_configure I can see that it is a procedure to display or change global configuration settings for the current server. Ok, so that was exceptionally easy. I can see that the procedure returns the configurable settings, the max value for the setting, configured value, and the running value for each setting. That is basic information, right? If I want a little more detailed information, guess what? I can query a catalog view to learn even more about the configurations – sys.configurations. That query will also show me (in addition to what I already know from sp_configure) a description for each setting, if the setting is a dynamic setting and whether or not the setting is an advanced configuration (and thus requires “show advanced options” to be enabled). Pro-tip: The procedure just queries the catalog view anyway. Here is a snippet from the proc text. -- options and their values. Seeing that we have some configurations that are advanced and there is this option called “show advanced options”, let’s play a little bit with how to enable or disable that setting. We can see there that the configuration had no effect because I already had the setting enabled. Nonetheless, the attempt to change still succeeded. Let’s try it a different way. I ran a whole bunch of variations there for giggles. Notice how I continue to try different words or length of words until it finally errors? All of them have the same net effect (except the attempt that failed) they will change the configuration “show advanced options”. This is because all that is required (as portrayed in the failure message) is that the term provided is enough to make it unique. The uniqueness requirement (shortcut) is illustrated by this code block from sp_configure. See the use of the wildcards and the “like” term? 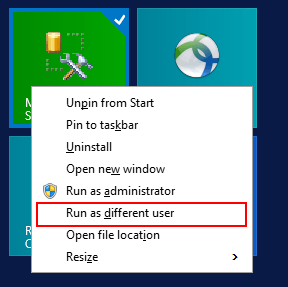 This is allowing us to shortcut the configuration name – as long as we use a unique term. If I select a term that is not unique, then the proc will output every configuration option that matches the term I used. From the example I used, I would get this output as duplicates to the term I used. Ah, I can see the option I need! I can now just copy and paste that option (for the sake of simplicity) into my query and just proceed along my merry way. This is a great shortcut if you can’t remember the exact full config name or if you happen to be really bad at spelling. In this article I have introduced you to some basics in regards to default server settings and how to quickly see or change those settings. Not every environment is able to rely on set-it and forget-it type of defaults. Adopting the mentality that “some assembly is required” with your environments is a good approach. It will help keep you on top of your configurations at the bare minimum. This article will help serve a decent foundation for some near future articles. Stay tuned!